Another oldie. This extension cord would probably work well in Australia. Last edited by wa2ise; 01/12/10 02:26 AM. My guess is that it uses green/white/black conductors in the cable. What way round are the black and white conductors...and are they the same at both ends? 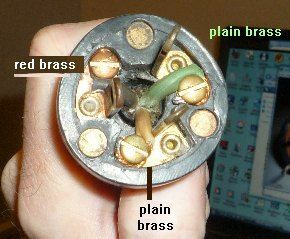 Also, are the pins labelled as to their connections? So, the live/neutral polarity is the same. Regardless of that, I'd have no hesitation using that extension lead here. If these fittings were still commonly available in the U.S. I'd bring some in to make an interesting change to the same 2 or 3 local brands of plug and socket. And we have the same size wall box (even the screw threads are the same)which means the wall outlets could also be used. These occasionally show up on the American eBay. 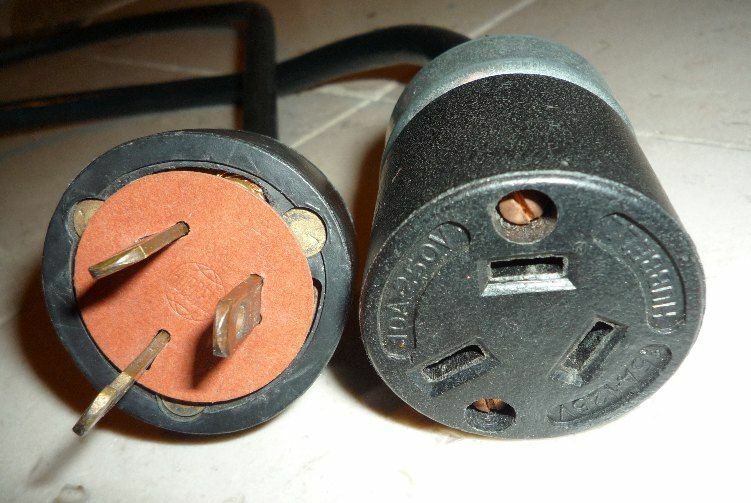 The hard part is finding the specific auction using keywords non-electricians would use to describe these plugs and outlets. "old", "vintage", "bakelite" or even "crawfoot". Be aware that there is a 30amp version that looks quite similar, but are actually a little larger. I noticed that modern Australian outlets have switches to turn the hot wire on or off. I would guess that this is a code requirement. If you did use a vintage American crawfoot outlet, you might be able to meet this code by having an American light switch (some are rated at 277VAC) right next to it in the same box to switch the outlet's hot wire. If these fittings were still commonly available in the U.S. I'd bring some in to make an interesting change to the same 2 or 3 local brands of plug and socket. American looking Aussie outlet ebay auction "The electrical mechanisms in DECO "BAKELITE" range are manufactured in Australia by Clipsal and carry full approvals." Wonder if that approval is by a recognized authority you use in Australia. I have two 30a amp extension cords (25 and 50 feet) with the 10-30 plug and receptacle plus a short 14-30p to 10-30r adapter cable for using my big pressure cleaner and welder at other people's houses from their dryer plug.